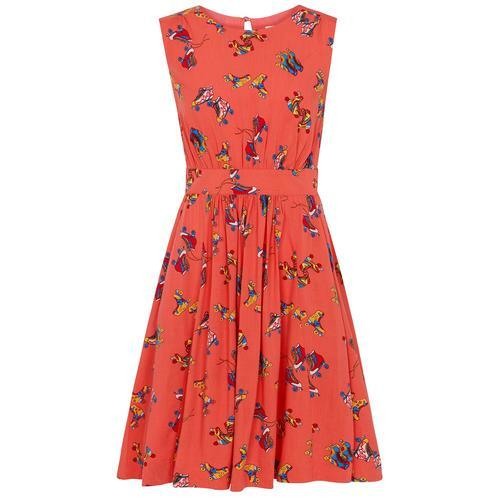 Sugarhill Boutique retro 70s style Kate dress with the super summery Sunset Waves print. 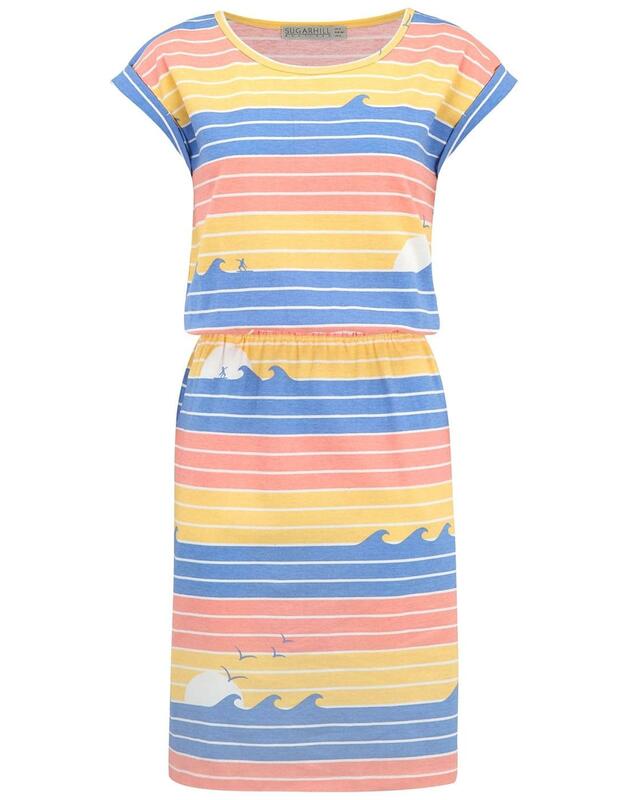 Perfect for summer holidays, strolls along the beach and sight seeing, this is a fab retro summer dress with a cool retro print in yellow, peach, blue and pink. Short sleeve with a slightly rolled cuff. A cool slightly relaxed fit with cinched in elasticated waist for comfort. Ideal for summer. 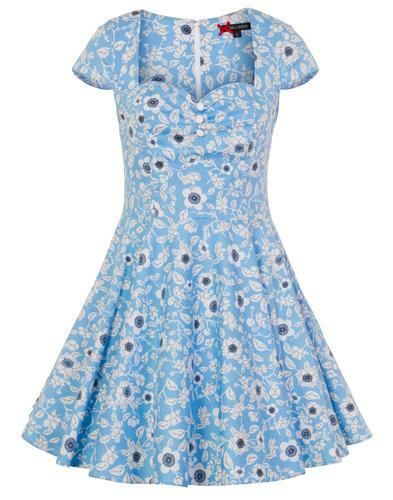 -Kate SUGARHILL BOUTIQUE Retro Waves Summer Dress.